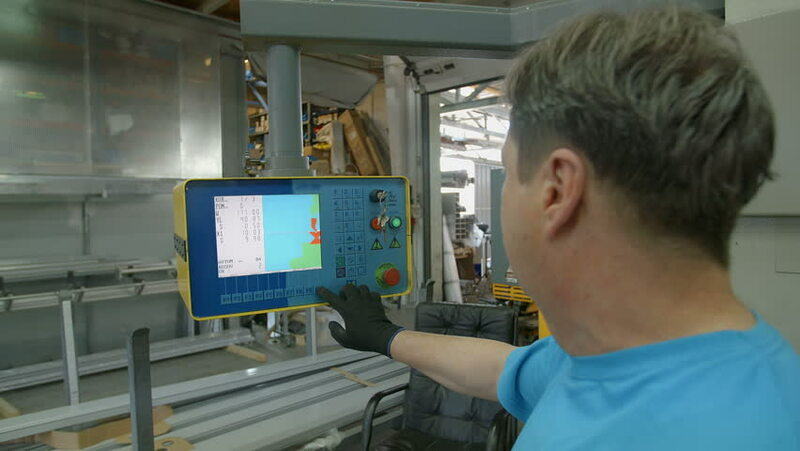 A man is pressing a few buttons on the screen in the factory and he is adjusting the production process. He is also using protective gloves. Close-up shot. hd00:23CIRCA 2010s - Corn based ethanol biofuel is tested in the laboratory. hd00:23CIRCA 2010s - Control room at an ethanol based refinery. hd00:06Shymkent / Kazakhstan - October 30, 2018: Modern Technologies. Cheese production. Women working on a packaging machine at a cheese factory.